There are 9 direct services a day from Koh Phangan to Nakhon Si Thammarat Airport operated by 3 companies. Depending upon which company you travel with the journey takes between 3 hours 30 minutes and 5 hours 30 minutes. The fastest service is the 07.20 departure on the Lomprayah High Speed Ferry Company which completes the journey in 4 hours 20 minutes. 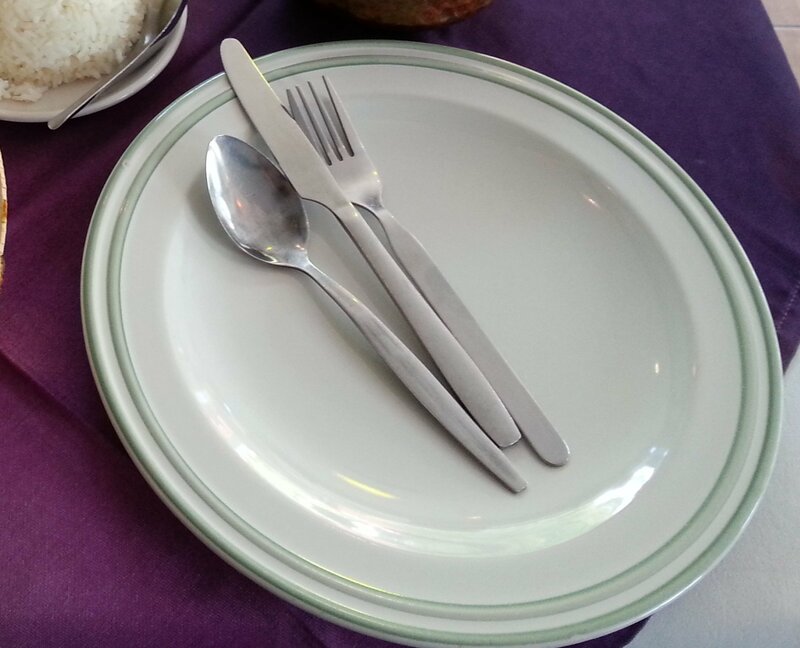 The slowest service is also the cheapest service, provided by the Raja Ferry Company which completes the journey from Koh Phangan to Nakhon Si Thammarat Airport in 5 hours 30 minutes. All services listed above are available to book online. The Raja Ferry service departs from Thong Sala Pier in Koh Phangan. Thong Sala is the main town in Koh Phangan and there are shared taxis running from most locations on Koh Phangan to coincide with the departure times of the ferries. Ask at your resort for information. 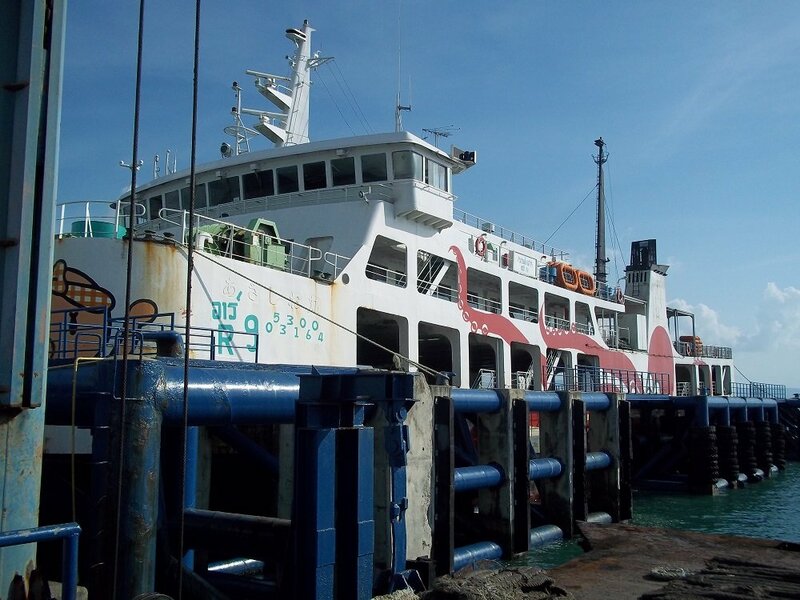 The Raja Ferry Company uses large car ferries to make the crossing from Koh Phangan to a ferry port in Donsak on the mainland. The sea crossing takes 2 hours 30 minutes. 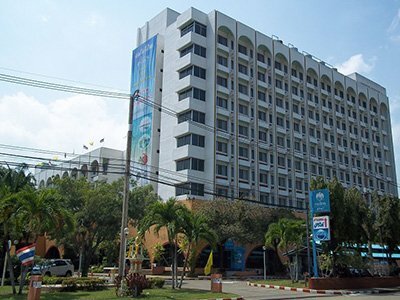 From there passengers transfer to a minivan to travel first to the Raja Ferry Office in Surat Thani city, before then being taken to Nakhon Si Thammarat Airport. This a 5 hours 30 minutes journey with around 30 minutes waiting time between the bus connections. 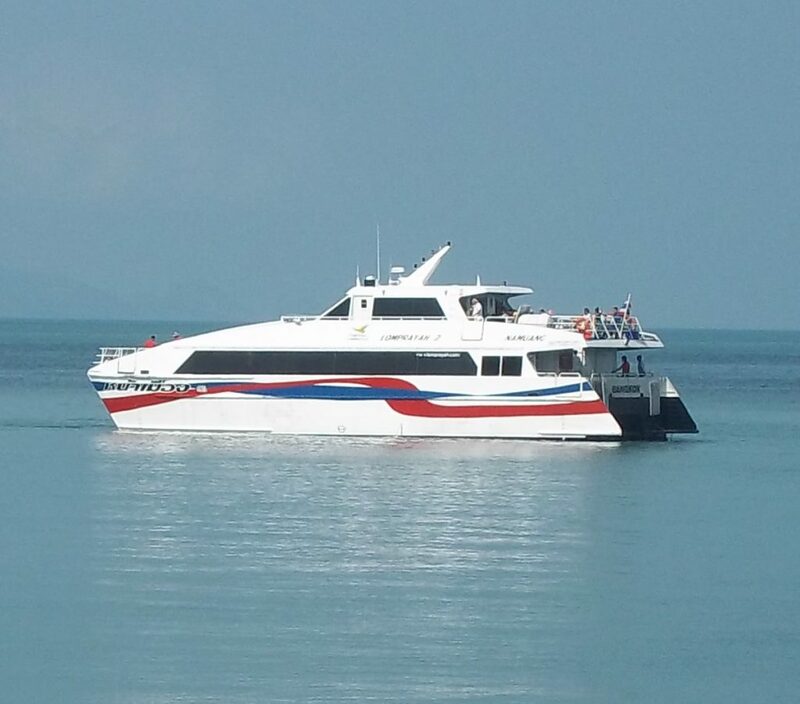 The Lomprayah High Speed Ferry Service departs from Thong Sala Ferry Pier. 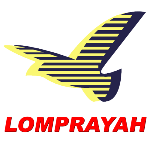 The Lomprayah service is the fastest service from Koh Phangan to Nakhon Si Thammarat Airport. The sea crossing is completed in 1 hour 15 minutes. 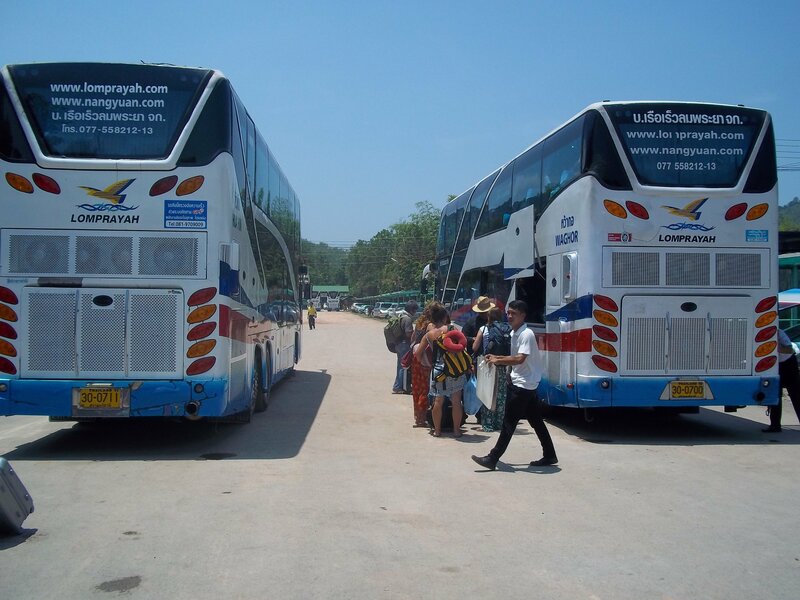 From the ferry port in Donsak passengers transfer to a bus which travels direct to Nakhon Si Thammarat Airport. This service starts with a sea crossing on a high speed catamaran boat. 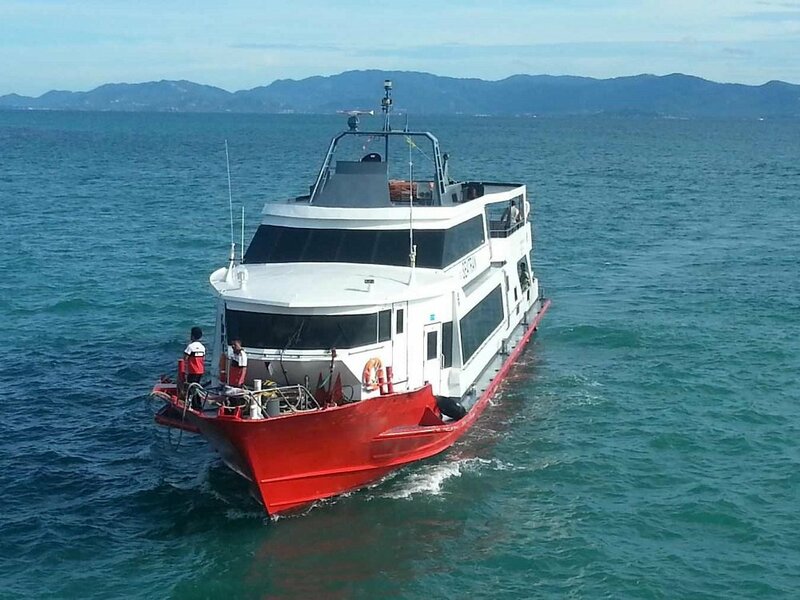 The ferries used by the Lomprayah Company are the fastest large ferries operating in the Gulf of Thailand and capable of travelling in almost all weather condition, although in very rough seas the Raja Car Ferry is the only boat which will attempt the crossing. Lomprayah ferries are comfortable with inside seating in an air-conditioned cabin and one or two sun deck depending on which of their ferries they use on a particular journey. The ferries also have 6 toilets and a shop inside selling food and drinks. The Seatran Discovery Company uses a fairly quick ferry with seating downstairs inside an air-conditioned cabin with a small shop selling food and drink. Upstairs there is outdoor seating. The Seatran Discovery service tends to be a second choice for travellers to use when the Lomprayah services are fully booked. The fare is slightly more expensive than the fare charged by the Lomprayah High Speed Ferry Company even though the journey time is longer. The earliest you can reach Nakhon Si Thammarat from Koh Phangan is 10.30 and with a requirement to check in an hour before flying you will have difficulties catching a flight from Nakhon Si Thammarat Airport departing before 11.30 in the morning unless you stay the night before in a hotel near Nakhon Si Thammarat Airport. bear in mind also that all transport services in Thailand are sometimes delayed, particularly the ferry services which can be delayed or even cancelled in bad weather. Thailand Life Tip: Our advice is to plan to arrive at Nakhon Si Thammarat at least 2 hours before your flight to allow for delays or cancellation.